We love Cool Sites! Submit Your Women's Gymnastics Site Info and We Can Exchange! 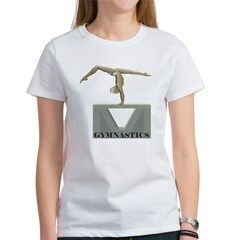 Women's Gymnastics Links-We gathered some links that pertain to the women's side of this category. Check out college gymnastics, it is much different from Olympic Gymnastics. The Collegiate Gymnastics Information Center-Provides the official NCAA National Rankings for collegiate men's and women's gymnastics. Future of Gymnastics -formed with goal of preserving Women's Collegiate Gymnastics. Dirctory of all Collegiate Gymnastics Teams-Listing of all Division I, II and III colleges with women's gymnastics teams. This list is also sorted by state. Gym Chat-the Gym Chat Sports Network! National Collegiate Gymnastics Association-The official site for the governing body of Division II/Division III Women's Collegiate Gymnastics. Team USA Gymnastics-women's offical site. USA Gymnastics.org-National governing body for the sport of gymnastics in the United States.